Toddler Sports Classes - Sport4Kids Football Coaching, Child Development & Girls Football Blog! Parents often take their children to a toddler or kids sports class and they don't quite get it or feel comfortable and don't settle. This may be any kids class, whether they be a rugby class, a football class or a dance class. It may be the coach, the activity, the environment or even the type of sport it is, that just doesn't suit certain children. My reply is "You haven't tried the right sports class yet"
That's why at S4K we offer classes in so many sports from such a young age. From tots to teens. We need to give the full range of experience for our children. Not everyone can enjoy playing the same sport, we believe that exposure to many sports allows the child to find their niche. To find something they feel at home with, suits their physique and their temperament. 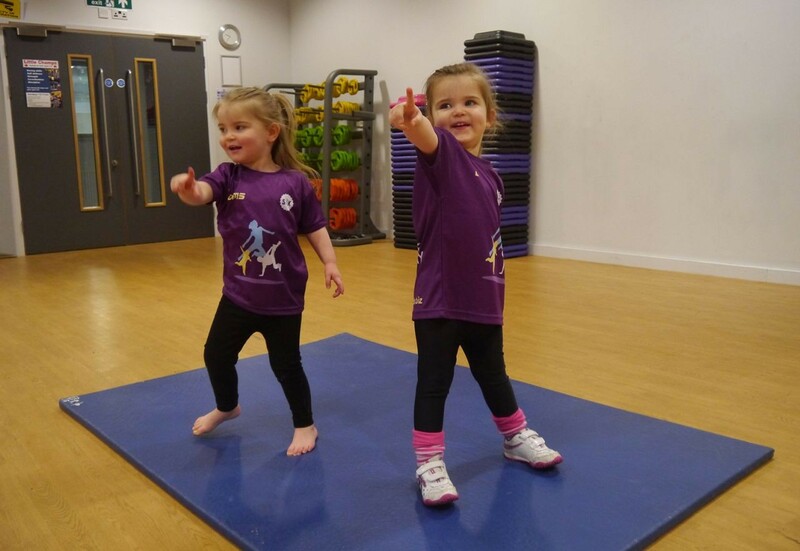 Each child has their own natural movement style and footprint, which is often suited to certain sports and specific classes. The S4K Way and child development philosophy is embedded in the Montessori method of the prepared child and the prepared environment. The prepared environment is crucial as the emphasis is on creating a fun entertaining environment which engages the children. Whilst having fun, laughter and encouragement children are developing core and natural movement skills whilst playing. This builds skills whilst having a great time, they almost develop and progress without knowing. This gives them the skills to grow in confidence and gain transferable skills that will allow them to feel comfortable and even thrive in multiple sporting disciplines. There is considerable evidence that shows many sportsmen and women at the very top of their game played multiple sports in their teens before narrowing their field of expertise. Exposure to many sports gave them a well-rounded development, both physically and mentally, giving them an advantage over their competition. One great example is Golf's new upcoming star, Jordan Speith. He played many sports in his youth and developed lots of experience and core motor, balance and eye ball coordination skills that he uses to a great advantage at the top of his sport. You can catch up on the Jordan Speith story in our article here. So your child doesn't like their current Sports class? That doesn't mean they don't like sport or aren't sporty! Why not try S4K Kids Football, S4K Toddler Rugby, S4K Tennis, S4K Dance, S4K Golf, S4K Cricket or S4K Tennis? In each of these they can journey through the S4K Curriculum and Player Pathways. These kids classes help build a child's mini and micro motor skills at each stage. This is the prepared child. As they move onward and develop these physical attributes they also build their confidence and passion for sport and a healthy lifestyle. They find skills and tasks in particular sports easier to master as they have prepared themselves so certain movements and balance feels natural to them. Sport and activities become a natural way of life. It is best that these are embedded in our young ones as early as possible. This is the S4K Way. Our classes start with the Toddler Classes and track parallel to a child's development through Pre-school, Reception, Key Stage1 and Key Stage 2. They move through to playing in internal low competitive tournaments and then join the S4K Club structure and play for one of the teams with their friends in a safe caring and non-threatening environment. Children love competition, but it is meant to be fun, not scary or stressful for a child and their parent. The S4K Academies and Club Structure allows a child to stay with S4K in an environment which understands children's development and the psychology of sport through a child's eye. So whenever they try several sports, they can continue to play with their friends in teams, in whatever sport they set their heart on. ​​Start young and help them settle. Get them along to an S4K Toddler Class and help them to settle by repeating what they did in the class at home. Only expect children to take part in 30% of the class at the beginning. Tots need time to take everything in and process what they see and hear at their own pace. The good news is each child and parent is given a Pratice@Home book. This helps the parent repeat what the coach is saying and showing your child in the class. When a toddler has their hero parent repeat what the coach is teaching them, they go back next week and understand a little more, the class becomes more familiar to them, they feel more comfortable and start to enjoy themselves. It can take up to six weeks for a tot to settle, so please be patient. Then they are on their S4K Way! Start with Enthusiasm! Whichever sport they show an interest in, show an interest yourself, enthuse at every little thing they do. Celebrate and cheer a kick or a throw and make them feel proud of their achievement. You are their cheerleader. Notice if they want to pick up a ball or kick a ball or just dance! Take an active interest, with young children it's all about enthusiasm. Practice@Home. Encourage them to practice different skills at home and take note of anything they particularly enjoy and want to try again and again. Great at ball striking? try S4K Golf or Tennis! Love throwing and catching? What about S4K Rugby. All they want to do is put on a show? How about S4K Dance! Help Coach to Settle Your Child. If they are shy then why not try signing them up to a class with a friend. Mention it to the coach that your child needs extra attention. We have three coaches at each class and our rations are the lowest in the industry at a maximum of 1 to 6 so we can give certain children extra attention settling in. Ask Your S4K Your Coach. If your child attends an S4K Class then speak to his or her coach and ask them which sport your child is most suited to. Try S4K Holiday Camps. If you still aren't sure then why not try one of our Holiday Clubs (link) where we offer a massive variety of different sports in a fun and nurturing environment. As adults we have learned what our particular skill sets are and as parents we need to encourage our children to do the same, this is why S4K Beaconsfield Bucks we offer free taster sessions (link) to all of our kids classes. We want your child to be happy and confident when they are participating in sport, ultimately, we want them to gain a lifelong passion for Sport and exercise themselves. So do please come and try out one of our kids sports classes and start your little ones journey to lifelong love of a sporty healthy lifestyle. David Joy is the S4K Network Partner for Beaconsfield & Buckinghamshire. 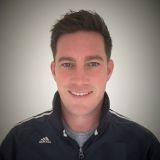 David joined the S4K Family in Spring 2018 and has a passion for children's sport and golf.